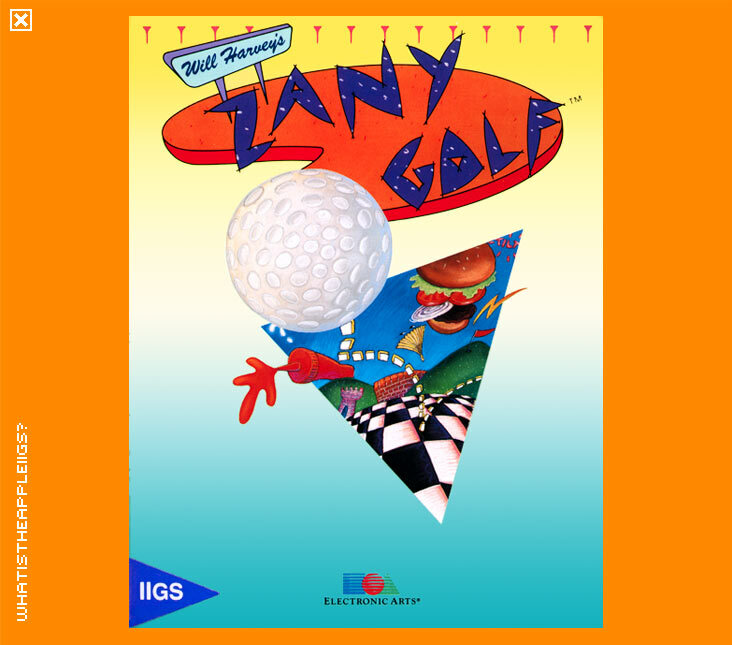 If people think IIGS games, Zany Golf is one title that immediately springs to mind. Created by the Sand Castle team led by Will Harvey, Zany Golf is a stylish, fantastically presented piece of computer entertainment. 1 to 4 players can play. The aim of the game is pass through all 9 holes under par. To make it under par is quite difficult and involves some luck. Control occurs through the mouse. The cursor is a crosshair and to putt your ball, place the cursor over the ball and hold down the mouse button. Think of it as stretching an elastic band; the further you pull back from the ball, the harder you will hit the ball. The direction in which you hit will become obvious. A neat design element of Zany Golf is that it's quite possible to get a hole in one for the first 8 holes, not to mention the neat ways you'll need to get the ball to the hole. 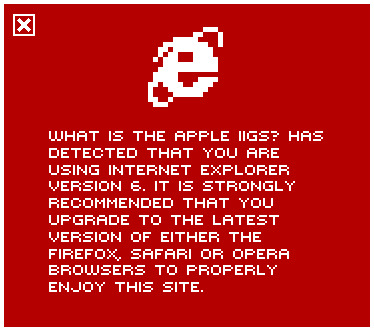 By the way, if you're over par, and in all probability you will be by the 9th hole, hit the buttons on the computer then wait by the mouse hole. When the blinking eyes turn red, putt the ball in the hole...that'll get you to the mystery hole somewhat easier. Zany Golf rocks. The graphics are brilliantly drawn by Ian Gooding, being colourful, clever and varied. The music written by Douglas Fulton sounds incredible not only because on the IIGS it sounds great, it's just neatly written music. All this combined with Will Harvey and Ian Nitchal's coding genius and design.